This is a shared owner boat with 12 owners. We have 2 of the shares for sale. 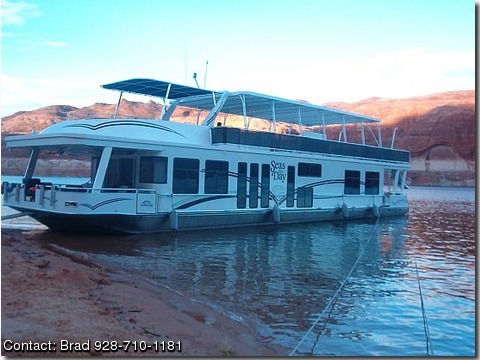 The houseboat is at the most premeir marina at Lake Powell with many amenities such as free shuttle service from car to house boat, Marina store, Marina restaurant with inside and outside dining. "SEAS THE DAY" is fully furnished with 4 bedrooms, and a unique top side out door kitchen and bar.